Even though my own natural birthing experience with Raven had its complications at the end, I will always be an advocate for unmedicated labor and deliveries because I can still recognize all the positive side effects that came from it (some far-reaching and long-lasting, like the fact that natural births are correlated with lower rates of postpartum depression and faster recoveries, and the fact that I was just so full of energy in the weeks that followed). It is for these reasons and many more that I just get so excited when I hear of other women choosing natural births whenever possible. So, you can imagine my elation when one of my best friends Mary, who was due with a little girl just 3 months after I was due with Raven, had decided to also try the hypnobirthing method/class we had gone with. As we compared notes and I eventually shared my own birth story with her, one thing kept coming over and over again into my head, and that was the enormous help it was to have my sister there as my coach during my labor (since she had done hypnobirthing herself successfully several times). I am pretty positive that I wouldn’t have been able to go through with my desire of having a natural birth had I not had her to help me out, and I wanted Mary to have no regrets whatsoever from her own delivery experience. As Mary neared her due date, I wanted to make sure that she knew I was available to her if she felt like she needed a coach to walk her through it, and I had brought up my offer so many times I was honestly worried that I was going to start to annoy her if I said it one more time. Last Thursday afternoon, I got a text from Mary saying that they were headed to the hospital. I was ecstatic for her to experience the miracle of birth for herself, and I reiterated my offer just one more time just so she would absolutely know that I would be available if she felt she needed a coach to walk her through it. Although I knew she wasn’t planning on having me come, I kept my phone by me just in case she changed her mind. Sure enough, I got a call from her husband around 6:40 p.m. asking if I could come and help out. 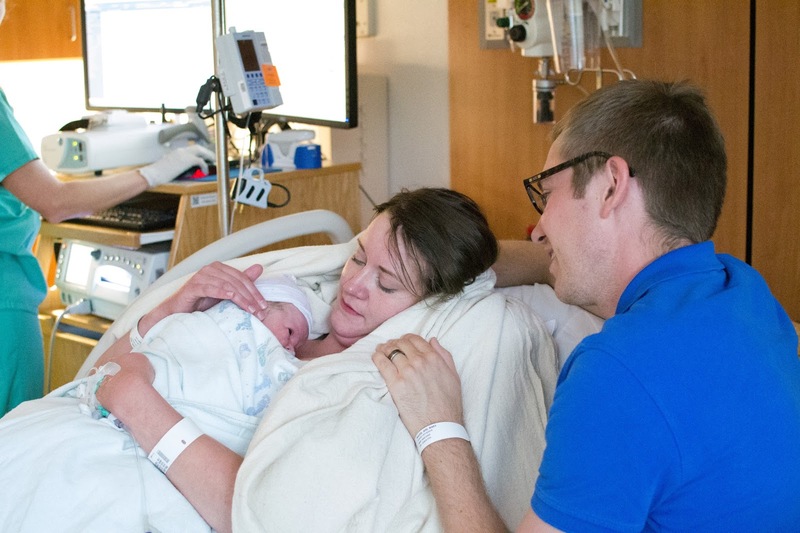 She was hitting that seemingly inevitable point where your rational mind wonders, “Can I REALLY do this?”and had started to seriously consider just getting the epidural. I knew all too well the feeling, and I made sure Matt and Raven were settled before flying out the door and making it to the hospital in about 15 minutes. When I got there, Mary was dilated to a 5 and getting pretty intense contractions almost on top of each other. I reassured her that her breathing sounded great and that she was doing just what she should be doing, and I could see her instantly relax. I think one of the most valuable parts of having a coach there is just for the reassurance that you really are doing it like you’re “supposed” to and that you’re not somehow botching the whole experience. Because my sister and husband had done such an excellent job coaching me through my experience, I decided to utilize a few of the same techniques to see what worked for her. Mary wasn’t feeling up to moving around, so I had brought a sock with two racquetball balls in it, and I would rub that into her lower back to give some counterpressure every time she had a surge. When she’d pass the peak of each contraction, I’d reassure her that she was almost through another one, and she seriously followed all directions just like a champ–she breathed slowly through each contraction and was able to fully relax her body between each one. I marveled at her strength and her poise, and I was astounded at how rapidly she progressed from that point forward. About thirty minutes after I got there, she was already to an 8, and about ten minutes after that, she was ready to push. The baby was born less than an hour after I arrived. While the full birth story has much more detail, I wanted to focus my thoughts on what it felt like being on the other side of it all. 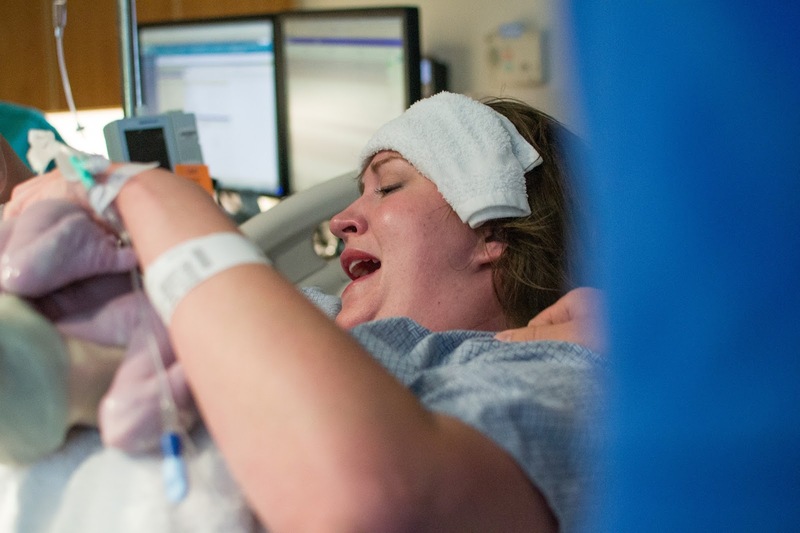 You see, after the complication I had with the delivery of my placenta and the excruciating pain I had to go through because of that, I had developed a pretty intense fear around the whole idea of labor and delivery. I knew in my heart that my complication was super rare and would very likely not happen the next time I gave birth, but I still got anxiety every time I thought about going through the process again. In fact, when I went in to doctor for my postpartum check-up, I had to have Matt come in with me because my anxiety was starting to skyrocket. 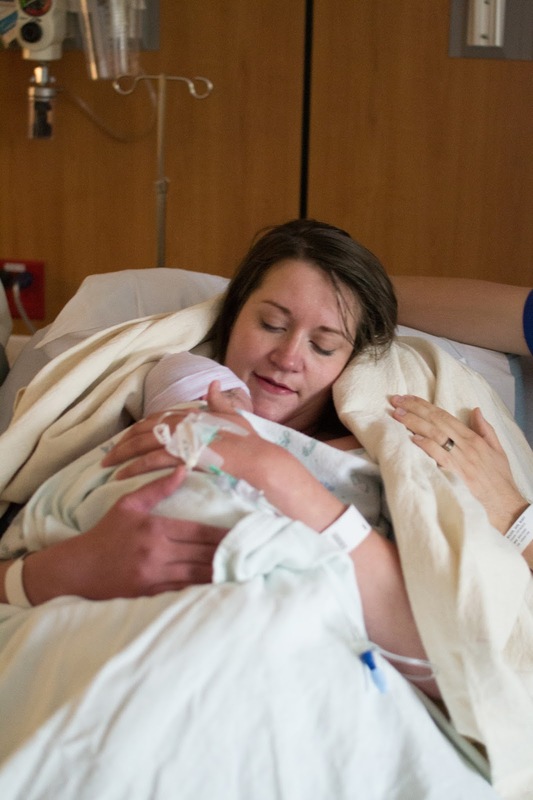 Watching Mary’s body flawlessly handle the birth of her baby and being able to share in that exultant moment with her and her husband as they looked at their newborn daughter, I felt like something inside me started to heal, finally. As I helped Mary get through the transition phase of labor (which is by far the most demanding) and watched her sail right through it in under 15 minutes, I marveled at my own body—that I had been able to somehow hang on throughout the whole thing despite my transition period taking six hours. Watching her quickly transition into the pushing stage made me hopeful that my own labor might be a little smoother the next time around. Before this experience, I had never seen a baby being delivered before–I had only experienced my own labor and birthing experience. Being there with the Majors gave me new insights and a fresh appreciation for how strong each woman’s body really is—how our bodies really do know what to do, and how a lot of the time what we really need is a little reassurance that we are strong enough to handle it. And I was so happy to be able to do for my friend what my sister did for me—to give her that reassurance in that pivotal moment when you really do need someone to basically talk you down off the ledge, to know when to call the nurse in because I’d dealt with it before, to know to tell her to ignore the nurse’s advice to hold her breath while pushing and instead breathe through while she pushed. I was so happy that I had brought my camera and that I could snap some pictures of the whole thing (which my sister had done for us, and which I will forever be grateful for–those pictures of me delivering Raven and of us right after the birth are some of my most precious possessions). I’d never ever considered becoming a doula or doing anything like that before, but after this experience, I can see the appeal—helping Mary to bring her first little baby into the world will remain one of the most awe-inspiring things I’ve ever been able to be a part of. So proud of you, Mary—you are a rock star! And your little Emma is just the sweetest. Thank you for allowing me to share this with you; I will never forget it. Best of wishes to you in this new journey of parenthood!